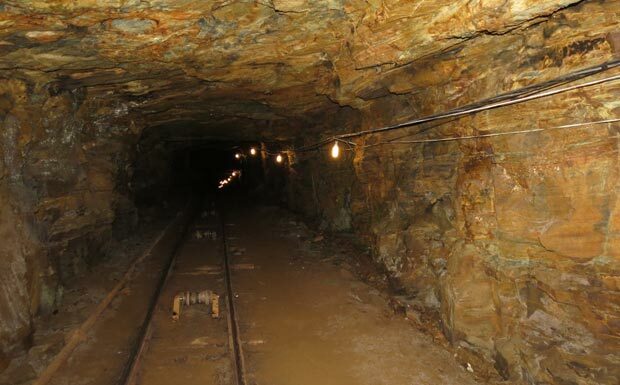 The largest open gold mine for visitors worldwide, the Pass Mine is on the road between the town of Ouro Preto and Mariana. I confess I did not expect much for the ride, but I was surprised. As soon as I sat in the cart that takes tourists into one of the tunnels, I saw that I was entering a different world, where up to 1985, more than 35 tons of gold were extracted. See the full article on the Pass Mine in On the Road Blog. curiosity | The Ouro Preto name came about because of the type of gold mining, which due to the characteristics of the region was all powder. Gold rose to the surface coated with a layer of iron oxide, gold subsequently separated. 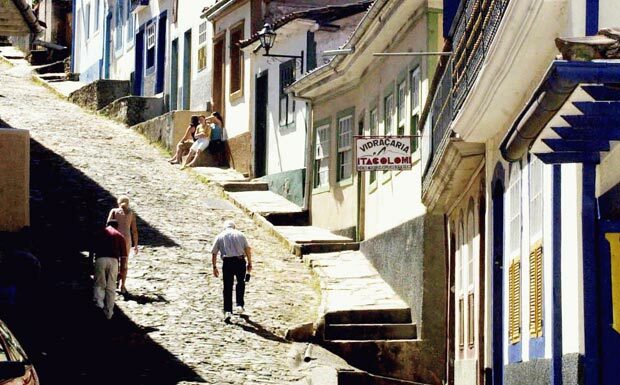 Hallmark of the city, the hills of Ouro Preto with its countless falls and rises, should be explored on foot. 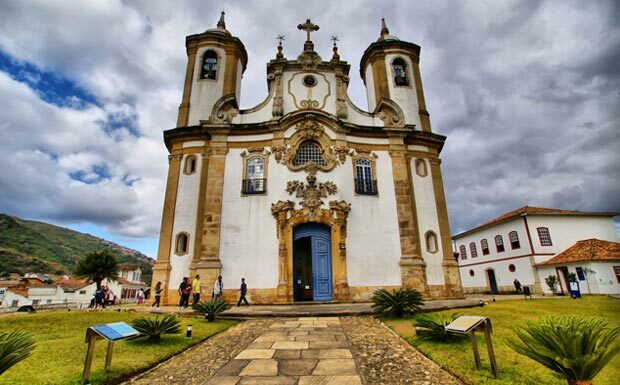 You'll find restaurants, museums, historic buildings and find out a lot about the day-to-day Ouro Preto population. 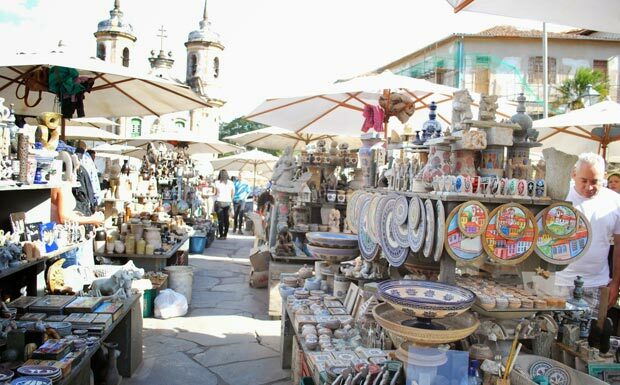 The Handicraft Market soapstone, now traditional in Ouro Preto, is a must to know more about the way of life of the local population. This tradition was born probably in the interest of tourists to take land memories of Aleijadinho, which gave much of two works in this type of stone. At the fair are sold crafts, board games, sculptures, clocks and vases in soapstone, as well as t-shirts, postcards and other souvenirs of Ouro Preto. Classified in 2009 as one of the Seven Wonders of Portuguese Origin in the World, the Church of St. Francis was built in rococo style, an evolution of the baroque at a stage where the gold was not as abundant, decorated more simply. It is located right in front of Ouro Preto Handicraft Market. Known for being the second richest church in Brazil, because of its sculptures in gold, had its ceiling painted by the father of Aleijadinho, famous miner artist, one of the most famous Catholic buildings among those that were built during the gold cycle. It was built around a chapel erected around 1700 and extended in 1712 with resources devoted. 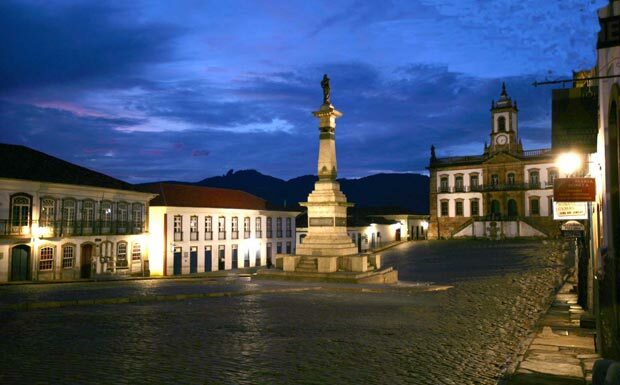 This landmark Ouro Preto, where the head of the martyr of independence, Joaquim José da Silva Xavier, Tiradentes, was exposed in 1792, when the city was still called Villa Rica. Known as "soil of conspiracy," has become the scene of miners politicians who begin their campaigns in hustings assembled in the square. 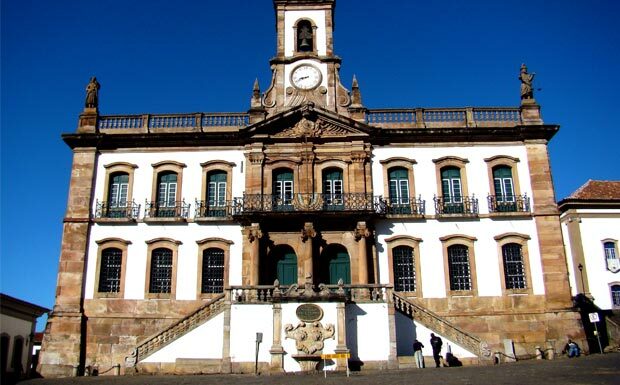 For its location, including address and the Museum of the Conspiracy, here's where it gets a visit in Ouro Preto. In one of the buildings, which incidentally is part of the architectural ensemble of the city, works Cultural Center. Dedicated to preserve the memory of the movement for independence of Brazil that did not succeed, the Museum of Minas Conspiracy is right in Ouro Preto center, housed in historic buildings like the old Town Hall and Villa Rica chain. Recently the museum was reorganized by the conservative head of the Louvre Museum, to ensure a better experience for visitors. 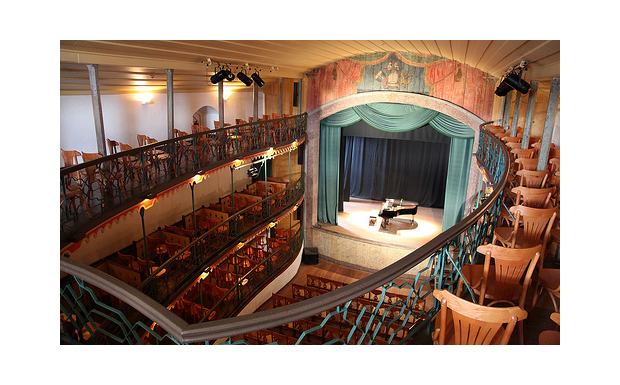 The Casa da Vila Rica Opera today Municipal Theater of Ouro Preto, is the oldest theater in operation in the Americas. It was built in 1769 by João de Souza Lisboa and inaugurated on June 6, 1770, the anniversary of King Don José I. 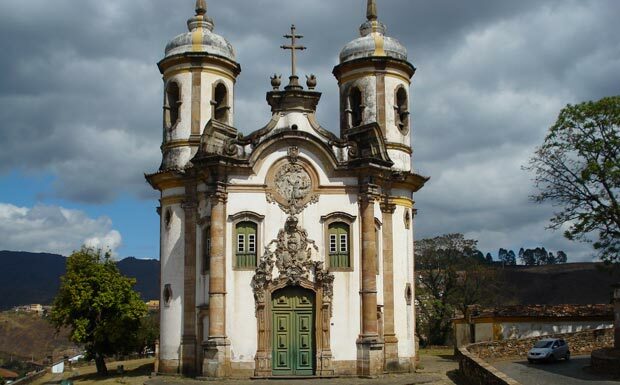 The Church of Our Lady of Mount Carmel is a Catholic church in the Brazilian city of Ouro Preto, an important example of rococo tradition in Brazil. Monument listed by the Heritage Institute for National Artistic (IPHAN). 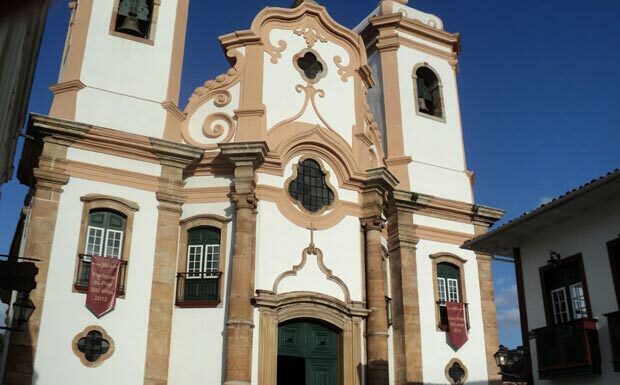 Its construction is due to the initiative of third brothers of the Carmelite Order of Rio de Janeiro who had moved to the old Vila Rica, today Ouro Preto. In this village they did not have a temple for your own devotions, meeting in the chapel of Santa Quiteria. In 1751 devotees founded a Brotherhood in Vila Rica, which started up the project to erect a church dedicated to Our Lady of Mount Carmel. The project was commissioned to Manuel Francisco Lisboa, who was member of the Brotherhood. The winning bidder of the construction was José Pereira dos Santos, who began work in 1756.